Educating others, and ourselves, about different countries and cultures remains one of the core goals of Upstate International. We’ve provided a list below of valuable resources, references and educational material in order to promote multicultural learning. Feel free to browse, download, or share any of the information below. 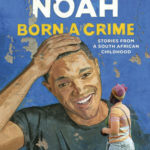 Born A Crime: Stories of a South African Childhood by Trevor Noah. His unlikely path from apartheid South Africa to the desk of The Daily Show began with a criminal act: his birth. Trevor was born to a white Swiss father and a black Xhosa mother at a time when such a union was punishable by five years in prison. Clemson University has always supported Upstate International Month and 2018 was no exception. Once again, Clemson Broadcast Productions gathered a group of experts together, hosted a panel discussion of our UI Month Community Book, Born A Crime and video-taped the results… Hosted by Marty Duckenfield. Click here to watch this informative and engaging panel discussion. Marty Duckenfield, Host, Associate Producer at Clemson Broadcast Studios and Manager of the Christopher J. Duckenfield Scholars Program. Dr. James Burns, Ph.D. Chair, Department of History. In the Fall of 2016, all incoming Freshmen at Clemson University read One Amazing Thing, by Dr. Chitra Divakaruni. The author came to campus to discuss this book with the Freshmen, and answered many of their questions. Upstate International has also chosen this book for its annual Community Book Read for International Month in March of 2017, so hundreds of readers throughout the Upstate can now hear firsthand from the author, a professor at the University of Houston. One Amazing Thing explores what happens when a group of nine people are stuck in the visa office of the Indian Consulate in an American city after a massive earthquake. As they wait to be rescued or die they each share one amazing thing about their life. Initially the natural selfish instinct for survival overtakes all the nine people, until they realize that the only way they might be able to stay alive is if they share whatever little food and water they have. After initial resistance everybody agrees and Uma suggests that each one shares the story of one amazing thing that has happened in their life to pass time, keep fear at bay and forget about the pain they are suffering because of their injuries. Click here to see the author’s talk with Clemson Freshmen and the following question and answer session. Clemson University has always been a major supporter of Upstate International Month each March. As part of this month which focuses on the diversity of our Upstate community, Clemson Broadcast Productions hosted a conversation on the Community Book Read: One Amazing Thing. The panelists include Dr. Brandon Jones, Assistant Director of the Academic Success Center, Jumah Taweh, lecturer in the Department of Communication, and Callahan Moore, freshman in the Honors College. Click here to see the video panel discussion of One Amazing Thing. Like last year, we would like to invite all libraries and educational institutions to organize a book read and discussion on One Amazing Thing. A resource page with possible questions and answers about the book will be posted online in due time. Libraries can post their discussion times on our events page. The events will be added below as well as on our Upstate International Calendar. 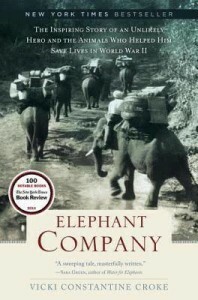 One of the many cultural activities of Upstate International Month is the Community Book Read, and this year the book is Elephant Company by Vicki Croke. A panel discussion was recently held at Clemson University to provide readers of this fascinating and inspiring book with multiple perspectives. The panel was led by Dr. Gregory Bruce, Director of Interdisciplinary Studies at North Greenville University. Also participating in the discussion were Clemson professors Dr. Stephanie Barczewski, professor of history, and Dr. Daniel Wueste, professor of philosophy and director of the Rutland Institute for Ethics. Joining the professors were David Esch, Chair, International Task Force for Greenville Forward’s Vision 2025 and Amy Park, Director of Research and Operations, Findnewmarkets – USC/USC-Upstate. Click here for the video panel discussion on The Elephant Company that was held at the Broadcasting Studios of Clemson University. “The World is but a Canvas to Our Imagination” is the theme of the 2018 Upstate International K12 Art Contest. Schools all over the Upstate are invited to participate in this Upstate Art Contest on the Elementary, Middle and High School levels. Is, 2nd and 3rd place winners from each division may win cash prizes. In addition, each school’s art program that produces a winner may also receive a cash prize. For full contest Information and rules, click here. Upstate International is celebrating ‘National Foreign Language Week’. National Foreign Language Week was inaugurated in the Spring of 1957. The chapters of Alpha Mu Gamma, took the initiative in organizing activities during this week with the purpose of making the American student aware of the vital necessity for foreign language study. Typical projects were newspaper articles, radio and television programs, foreign language films, festivals of foreign music and plays, the singing of foreign songs and lectures open to the public. Soon other universities, colleges and schools were also celebrating NFLW. For suggestions on how to celebrate National Foreign Language Week, visit the webpage Ideas on our website. USC Upstate made a video to promote the study of foreign languages with K12 children in the Upstate. You can find the result here. “One picture can say a thousand words.” Six digital slides may produce a photo essay with the power to transform an entire university system audience. The “Two 2 Transform” Photo Essay Contest invites college students from across the state of South Carolina to produce a narrated photo presentation describing and reflecting on their “study abroad: service project experience. The first round of student competitions will be held at colleges throughout the state, culminating in a regional contest scheduled for March 23th 2015 which will name and award cash prizes to the three top photo essay entrants. Your “transformative” international experience may resonate with other South Carolinian students and reverberate around the globe in future service programs. Use the power of digital photography and the visual arts to share your story, and possibly transform someone else’s world. For full contest rules, please click here. Find information about other countries’ geography, history, customs and lifestyles. Browse the Recipe Collection for a country’s traditional fare, listen to its national anthem or create comparison tables of multiple countries. Es español su lengua materna? Estudiar para el GED o mejorar su escritura y matemática con esta herramienta online. Se requiere una tarjeta de la biblioteca. Is Spanish your first language? Study for the GED or improve your writing and math skills with this online tool. Library card required. 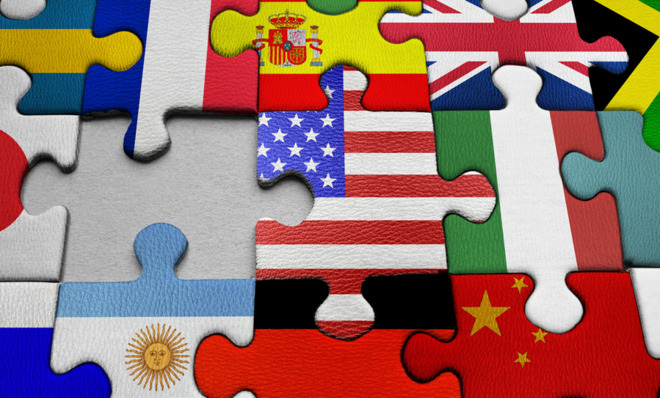 Learn how to communicate in Spanish, French, German, Chinese and many other languages. Conversational lessons cover vocabulary, pronunciation, grammar and culture. Library card required. The fun way to learn a second language for parents and children! Library card required. Learn a new language with interactive video, games and quizzes. Languages offered include Chinese, French, Italian and even American Sign Language. Library card required. Check out the Greenville Library events on our Events page or on greenvillelibrary.org.